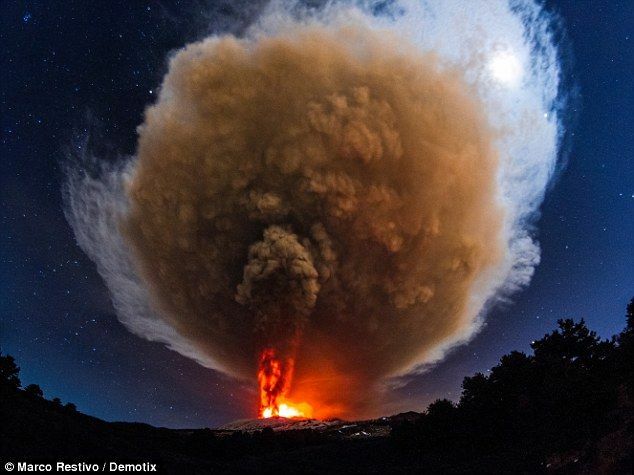 The Mount Etna's Voragine in Italy crater has erupted for the first time in two years with a huge mushroom cloud of smoke and ash. It last erupted in 2013. The spectacular and awesome view of eruption sending fire and ash across the Sicilian skyline is visible from miles, as can be seen in the photo above.